10 Keys Facts - Liverpool have completed the signing of Brazil forward Roberto Firmino from Hoffenheim, subject to a medical - here are 10 interesting facts about the Reds' new player. 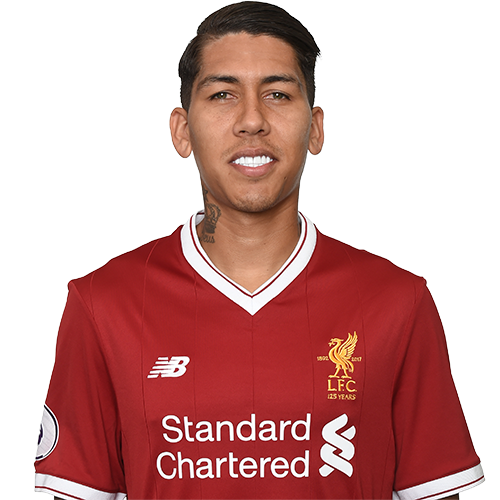 Firmino hails from the city of Maceio, birthplace of three-time World Cup winner Mario Zagallo, who claimed the honour twice as a player and once as a manager. Although he made his name at Figueirense, the attacker began his footballing journey with Clube de Regatas Brasil in his hometown and also enjoyed a stint at Tonbense FC prior to moving to Europe. In his one full season at Figueirense, the teenage Firmino helped his team to promotion from Serie B to the top flight of Brazilian football. The 23-year-old's first goal in Europe was a match-winner, as he netted for Hoffenheim in a 1-0 victory over Eintracht Frankfurt in April 2011. His fourth Bundesliga campaign saw him net an incredible 16 goals in 33 appearances, a haul that saw him recognised as Germany's 'Breakthrough of the Season' in 2013-14. The midfielder also put on 12 goals for his colleagues that term, a figure that took him to second place in the assists chart. Firmino made his first appearance for the Brazil national team against Turkey on November 12, 2014 and netted his first international goal just six days later against Austria. Liverpool's latest signing also boasts a clean injury record, having featured in 33 of Hoffenheim's 34 league fixtures each season for the last three years. The attacker is already off the mark in England, having netted for his country in a friendly meeting with Chile at the Emirates Stadium in March 2015. Combining his own strike tally with his assists, Firmino has been involved in 45 goals in his last 66 outings in the German top flight.